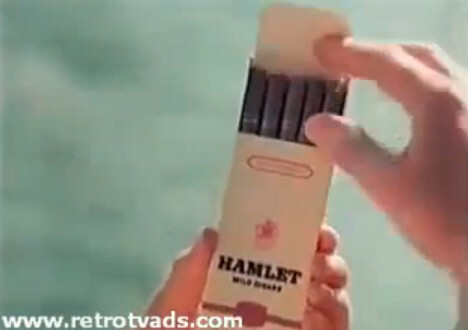 Hamlet is a well-known brand of cigar produced by Gallaher Group division of Japan Tobacco. They are available in several varieties, miniatures and also a regular length. They are regularly referred to as the ‘mild cigar’ in their advertising. Hamlet cigars were first launched in the UK in 1964. More recently, Hamlet cigars have been launched in a number of western European markets. 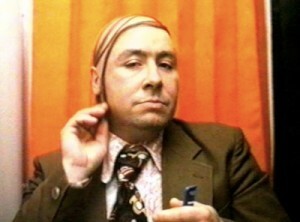 They are most famous in the UK for their comical advertisements, which present scenes in which a man, having failed dismally at something, is consoled by lighting a Hamlet cigar. Much of the humour came from the fact that the product being advertised was deliberately unclear until the tell-tale cigar appeared, accompanied by the tune of Bach’s Air on the G String, played by French musician Jacques Loussier, and the line ‘Happiness is a cigar called Hamlet’. For example, one advertisement created a diversion by appearing to be advertising beer: a man, dying of thirst in a desert, finds a can of Heineken but accidentally spills it all into the sand; so instead he lights up a Hamlet cigar. 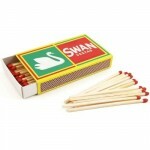 Swan Vestas is a brand name for the most popular brand of ‘strike-anywhere’ matches currently available in the UK, shorter than regular pocket matches they are particularly popular with smokers and have long used the tagline “the smoker’s match” although this has been replaced by the prefix “the original” on the current packaging. Swan Vestas matches are manufactured under the House of Swan brand, which is also responsible for making other smoking accessories such as cigarette papers, flints and filter tips. The matches are manufactured by Swedish Match in Sweden using local, sustainably grown aspen. Imperial Tobacco (officially Imperial Tobacco Group plc) (LSE: IMT) is a British multinational tobacco company headquartered in Bristol, United Kingdom. It is the world’s fourth-largest cigarette company measured by market share (after Philip Morris International, British American Tobacco and Japan Tobacco), and the world’s largest producer of cigars, fine-cut tobacco and tobacco papers. It produces over 320 billion cigarettes per year, has 51 factories worldwide and its products are sold in over 160 countries. Its brands include Davidoff, West, Gauloises Blondes, Montecristo, Drum (the world’s second-largest-selling fine-cut tobacco) and Rizla (the world’s best-selling rolling paper). Hamlet is a well known brand of cigar produced by Japan Tobacco. They are available in several varieties, miniatures and also a regular length. They are regularly referred to as the ‘mild cigar’ in their advertising. They are most famous in the UK for their comical advertisements, which present scenes in which a man, having failed dismally at something, is consoled by lighting a Hamlet cigar. Much of the humour came from the fact that the product being advertised was deliberately unclear until the tell-tale cigar appeared, accompanied by the tune of Bach’s Air on a G String, played by French musician Jacques Loussier, and the line ‘Happiness is a cigar called Hamlet’. For example, one advertisement created a diversion by appearing to be advertising beer: a man, dying of thirst in a desert, finds a can of Heineken but accidentally spills it all into the sand; so instead he lights up a Hamlet cigar. Since the ban on tobacco advertising in the UK and much of Europe was implemented, the adverts are no longer aired. Henri Wintermans Cigars are made by a Scandinavian Tobacco Group called Skandinavisk Tobakskompagni or Scandinavian Tobacco – is a global company with a Danish head office. 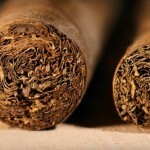 We are dedicated to the manufacture and sale of quality cigars and smoking tobacco to smokers around the globe. Scandinavian Tobacco Group has around 3,400 employees in sales companies and production companies in a number of countries all over the world. The Group is the world’s third largest player in the field of cigars and the world’s largest in pipe tobacco.